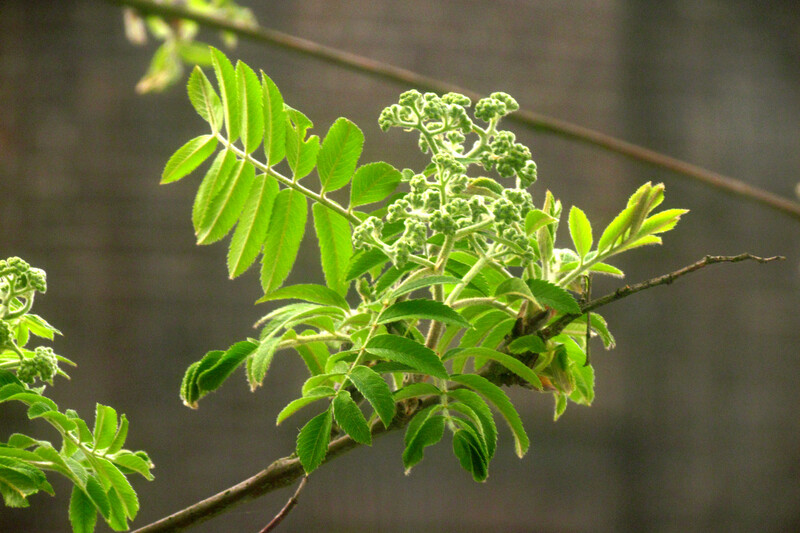 The Rowan is getting busy. 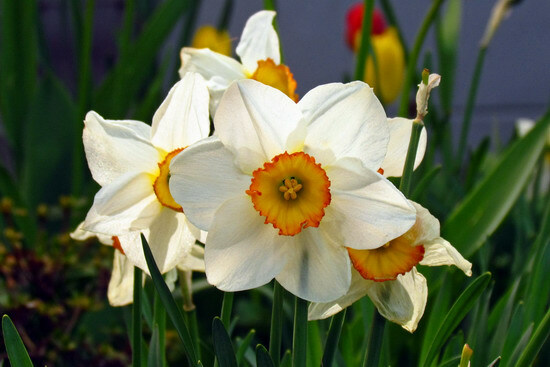 White and yellow neighbourhood Daffodils! 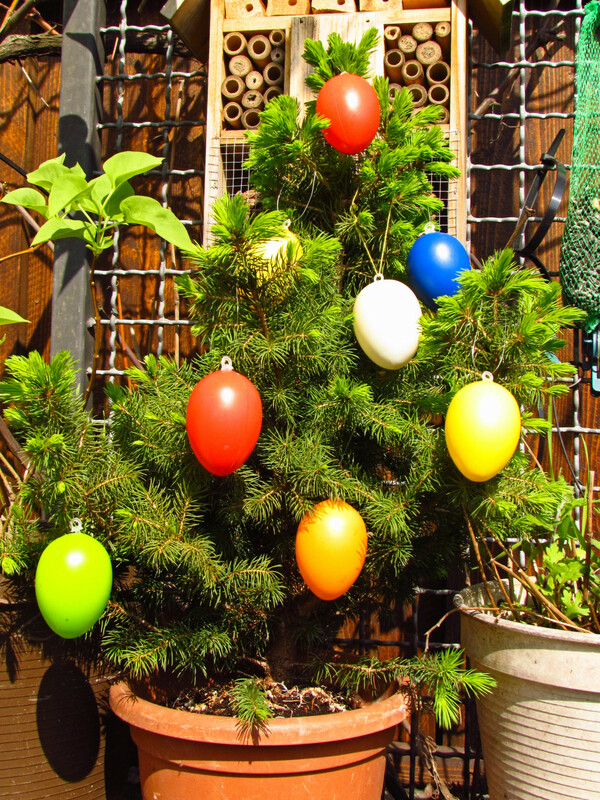 My little Christmas tree is doubling as an Easter tree this year again! 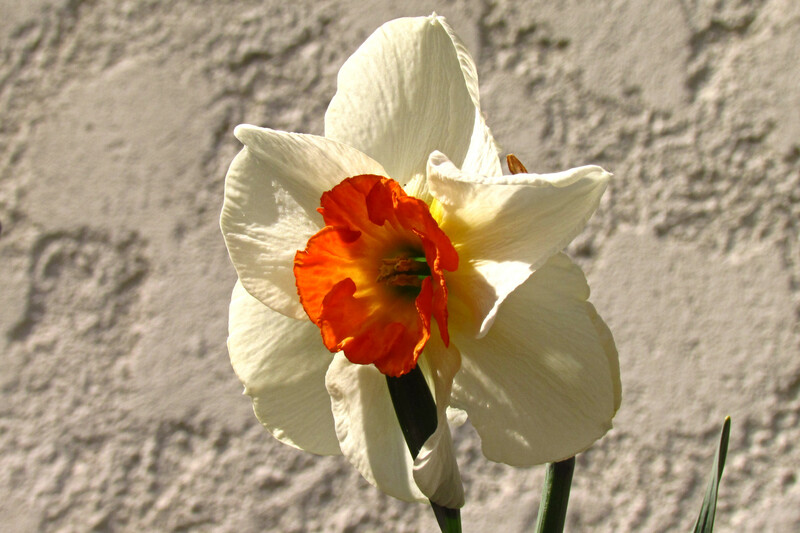 A two-coloured Daffodil, perfect for Easter!